Can I use an OctaPlus with my LED Panel? A range of LED panels in/around the 1×1 form factor can be used with an Octa lightbank in conjunction with Chimera’s TECH Multi Bracket. The adjustable design of the bracket allows you to move the 5/8” Baby pin mounting spigot to accommodate many of the most popular panel LEDs, including the Cineo Maverick, Litepanels Astra, and ARRi S30 (just to name a few). Because the shape of light output from panel LEDs is different from a traditional bare-bulb light, we designed the new OctaTECH lightbanks to help ensure the soft, even, wrapping light that Chimera’s Octa lightbanks are known for. These lightbanks include lighter density baffles and screens to maximize light output, and are backed by Chimera’s standard five-year warranty. 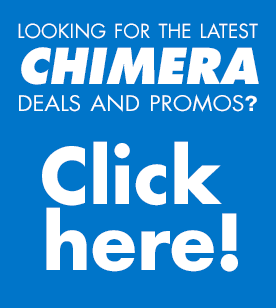 https://chimeralighting.com/wp-content/uploads/2017/08/chimera-lighting-logo-copy.png 0 0 Chimera Lighting https://chimeralighting.com/wp-content/uploads/2017/08/chimera-lighting-logo-copy.png Chimera Lighting2017-02-21 07:36:112017-07-03 13:37:17Can I use an OctaPlus with my LED Panel? Can I use my existing OctaPlus lightbank on the TECH Multi Bracket? What lights fit the Chimera Space Brackets?